First Power was excellent. They know their stuff forsure. 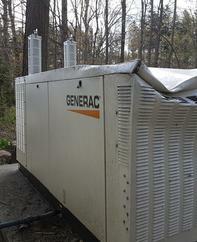 I have had 4 generators (at other properties I own) by other companies. They don't know half what Dwayne's team knows. I had two other quotes from other companies and lets say the other companies dishonesty and lack of product knowledge was unsettling and I think they are a bunch of used car salemen looking for a quick score. 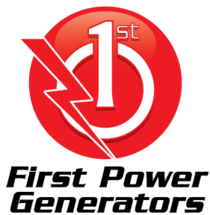 First Power is in it for the long run and provided me great value for the money. Thank you for a great job. Dwayne I meant to contact you regarding the Easter weekend. We lost power around 10:00 pm Thursday evening and it did not come back on until Friday night around the same time. 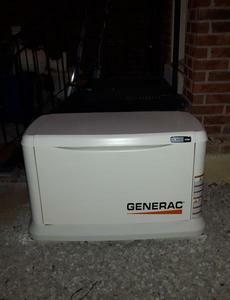 I was so happy to have the generator. There was absolutely no interruption in our life. No having to haul water up from the pond for the horses. Everything clicked in almost immediately. 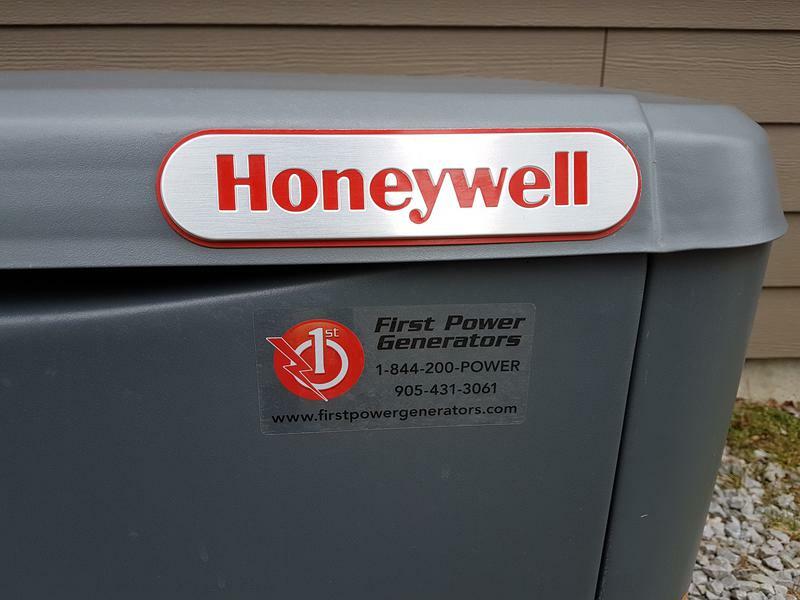 Other than the sweet hum of the generator we would never have known we were without hydro. This is truly an investment worth every penny. Definite peace of mind living in the country. First Power was terrific. 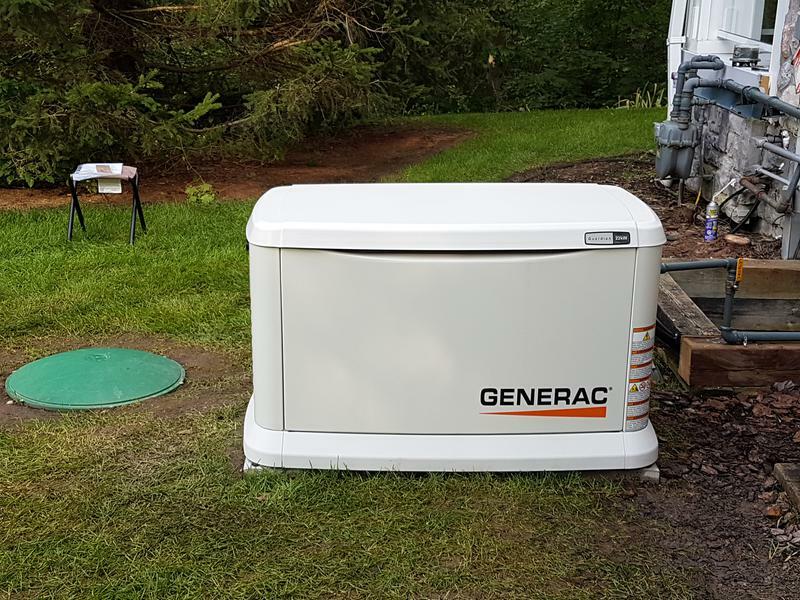 I couldn't believe all the moving parts with installing a generator for my farm. 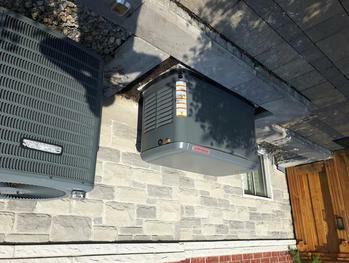 From ESA to Delivery to the Propane connection, Dwayne and Randy handled everything. All I did was to write a cheque. 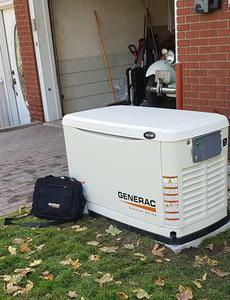 When Dwayne did the transfer test and I saw for myself the generator was running my house, it was such as relief!!! I wish I had done this 15 years ago. I don't know why I waited. 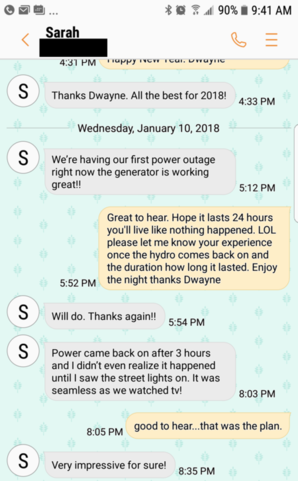 I didn't have to live without power for 2 days last month. It was cold and horrible for those 2 days without power. 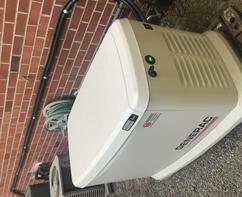 I highly recommend First Power Generators. 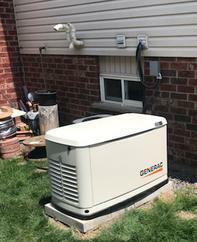 My first power outage with a First Power Generator. Everything is working just like the power didn't go out. Can't believe it. I am actually writing this email on my desktop computer and sending it through wifi. My sump pump just worked and I am not bailing water out of it like I have done so many times in the middle of the night. This is GREAT!!!!!!! Thank you First Power. 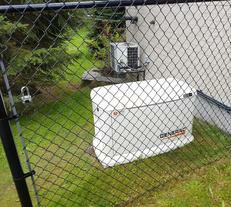 PS - I do feel guilty that my neighbours don't have power but at least I am not worried about my basement flooding. Mixed emotions. On the left is a screenshot of a text message between Ron (Mr. Bee) and myself this year in 2017. 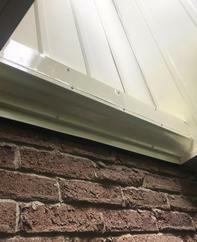 Above is a photo of the finished job at Ron's farm house. There will be no more 2+++ days power outages here. Enjoy!!! We are leaving for a 4 week family vacation in early February. 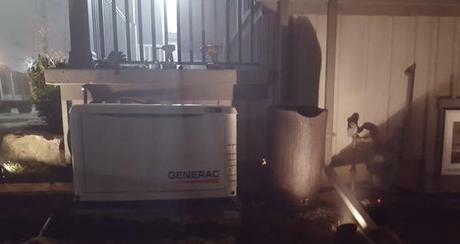 Two weeks ago our basement flooded due to a power failure. 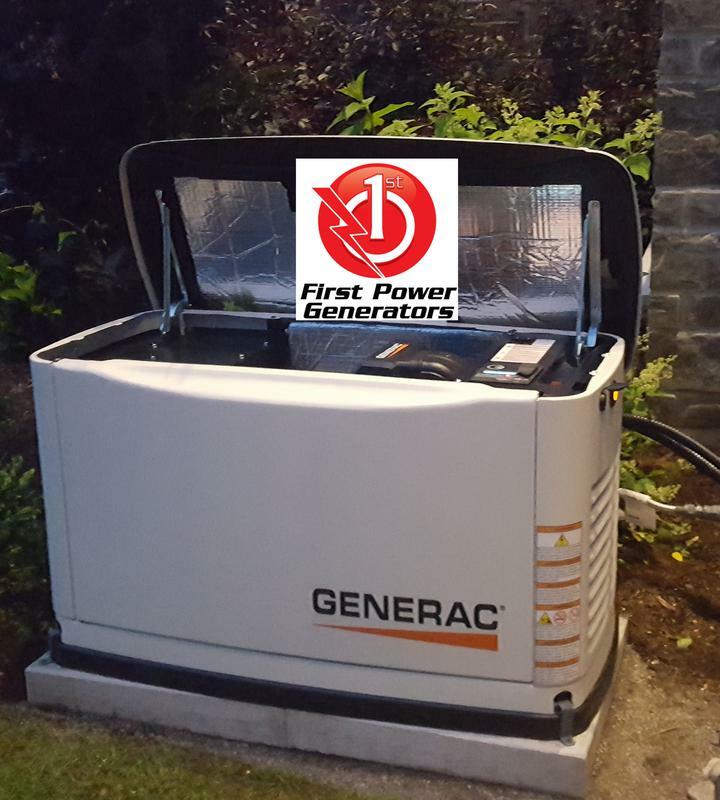 First Power was the only generator company to get our generator installed in 12 days (we signed the contract on Jan. 16, 2017) AND they had the best price and service. Thanks so much for a stress free family vacation. 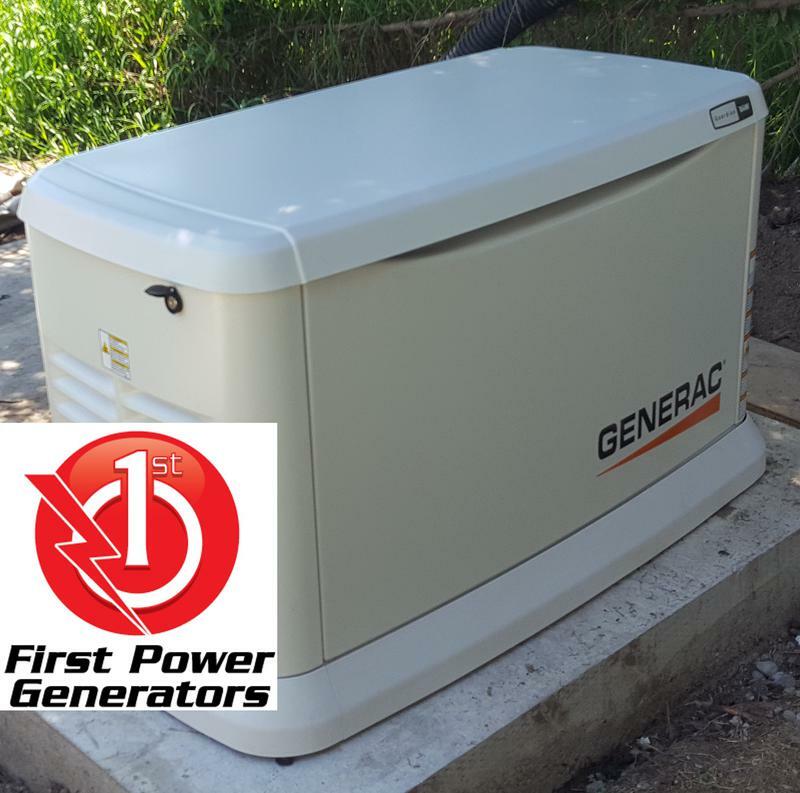 First Power Generators was great! This was a very tough placement - uphill with a 550 lbs. 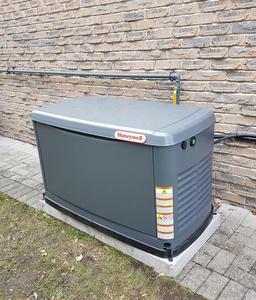 22kW. Randy and Dwayne were amazing. 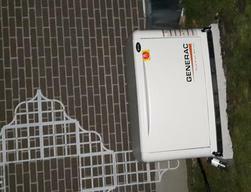 Rolling the generator uphill for 25 feet. We loose power for long durations 2-3 times per year. 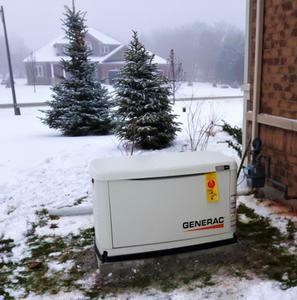 It is great knowing that we are protected for over 20 years against anything that Mother Nature and Hydro One throws at us. The government can no longer protect us. Protect yourself first. 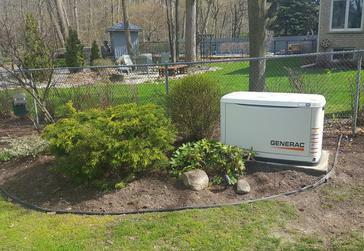 Thanks Dwayne, Randy and Cathy at First Power Generators for handling all the complicated parts of this install. It went seamless and I had to do almost nothing. My tennants are extremely happy now that they have backup power and can keep their staff and patients operating as normal as if the power hadn't gone out. Keep up the good work. 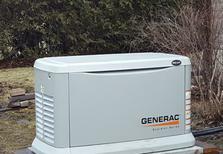 Hi Dwayne - thanks again for such a great and smoothly run installation of our generator! You are very organized and everything is obviously planned out to every detail which is wonderful. We will be happy to recommend you to all our clients, family and friends. Morning Dwayne, I'm having trouble with this stinkin computer....going to try this again. 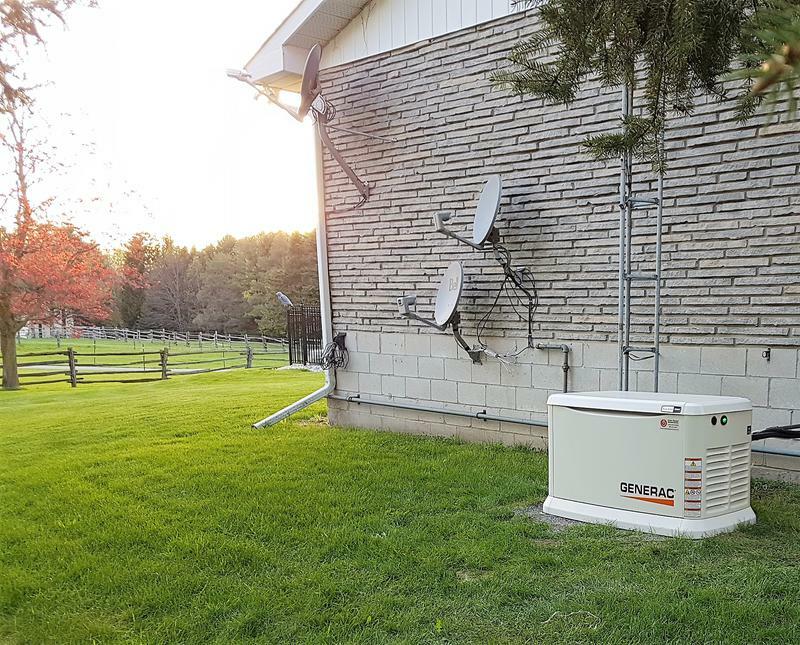 Great Job on a difficult install (no space for the generator). 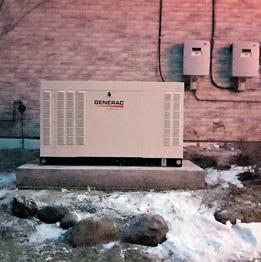 We feel 100% confident that we are power protected. We won't worry about the sump pump ever again. Love that I don't ever have to worry about the sump pump again. What a relief!!!. Thanks for making the process so easy. 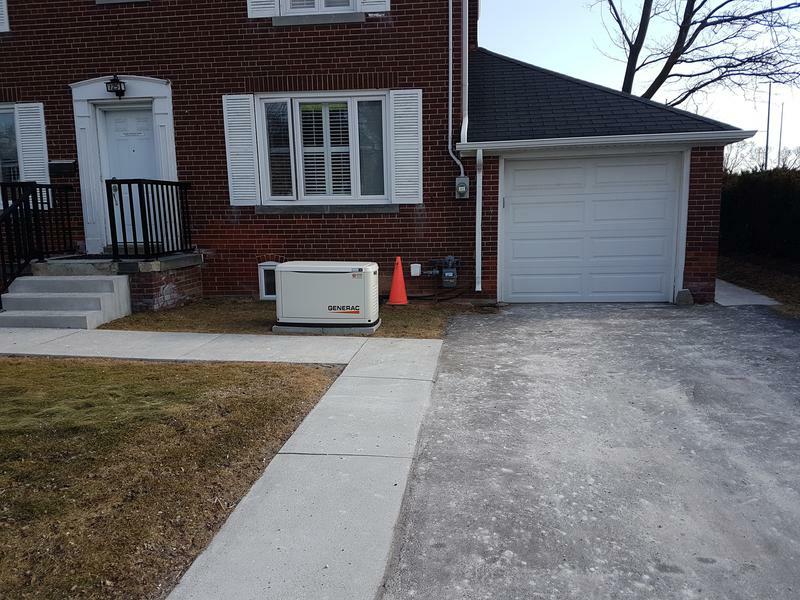 The underground gas line made everything perfect for the generator placement. Although it was a little more money, the underground gas line is worth it. Thanks Again. Wind Storm - Generator powering the house when this photo was taken. 50% of Thornhill had no power for over 12 hours. Circuit Load Solution. 9 days from the first call to startup. Quickest install ever!!! 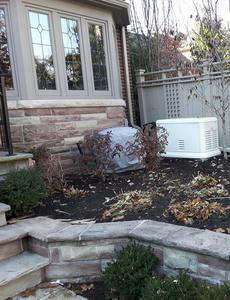 Customer will plant 3-4 cedars to hide the generator and add some greenery for winter. Getting to dark, to early this time of year. Protecting this disable gentlemans' house. No more cold, dark and uncertain nights at this house ever again. Ready to protect during the next snow fall. This area has power outages all the time. 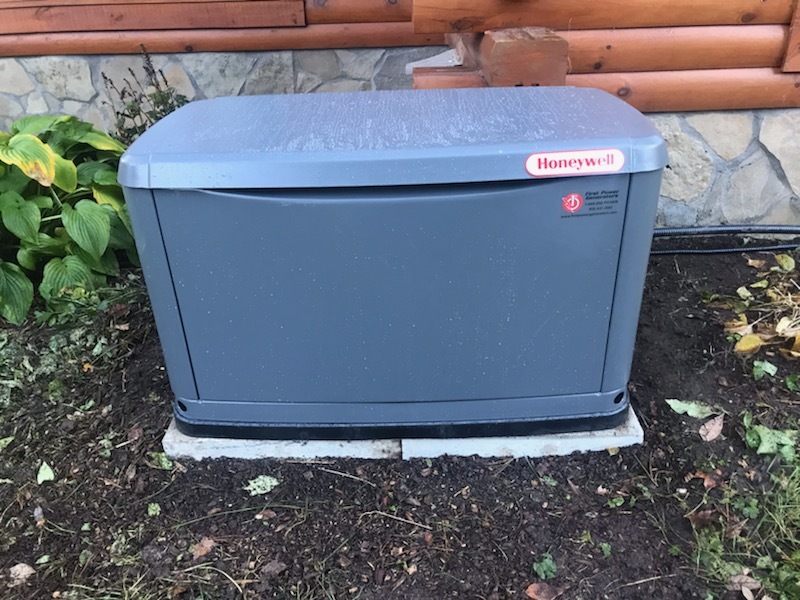 Ready to protect the well pump and heating system in this rural house. No more cold, dark nights at this house. 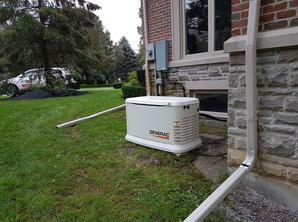 No More Sump Pump Basement Flooding at this residential house. No more Server, Point of Sale and computer outages here! No More Power Failures at this House. 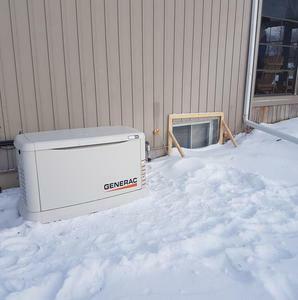 No more cheap portable gas generator protecting the sump pump here. "No more worry and stress about the power failing while were are away from the house. 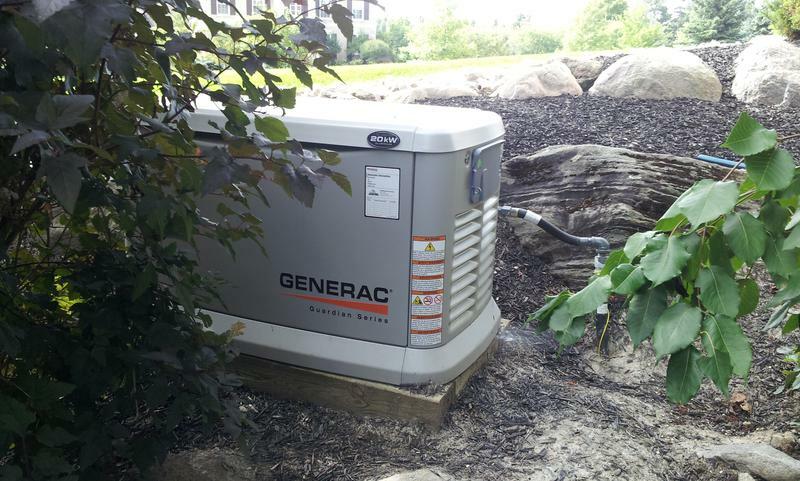 Sump pump works great on the automatic power generator. We wish we did this years ago." Automatically protecting this beautiful farm. 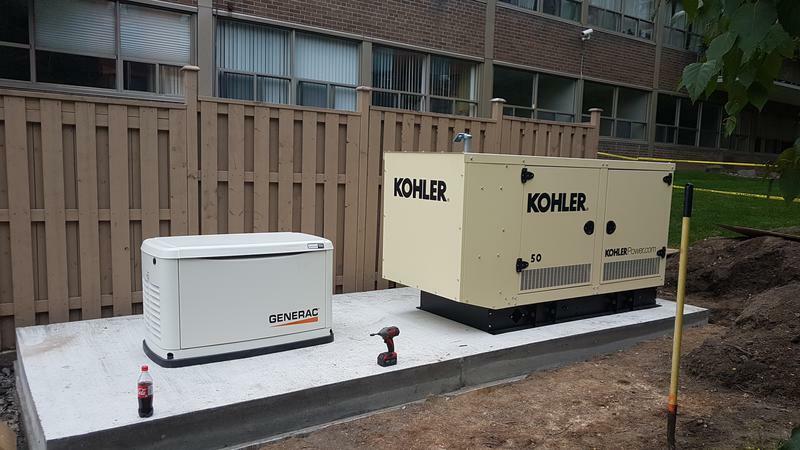 "Great job Dwayne and First Power Generators. Easy to deal with and very professional. 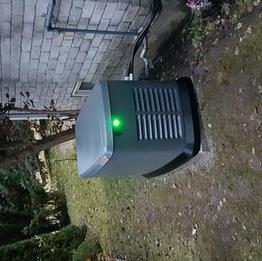 "We wish we had this a month ago during the very long power outage from the wind storm in early May 2018." Toronto project just wrapping up. 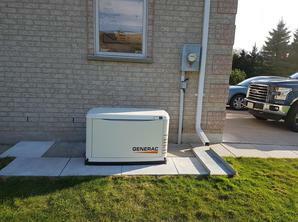 22kW generator backing up this house. 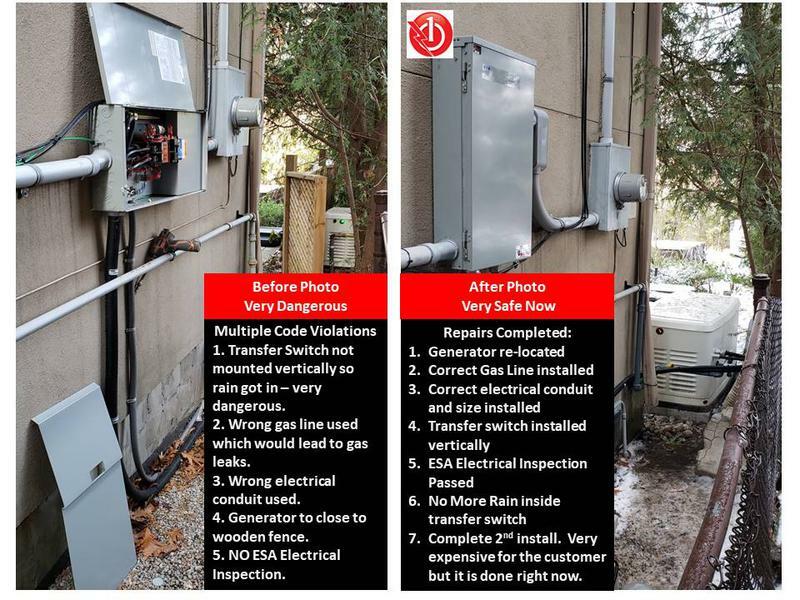 First Power was retained to fix this mess by the General Contractor, Electrician and Gas Fitter. They had it all wrong and could have caused carbon monoxide poisoning to this family. Now it is safe and reliable. 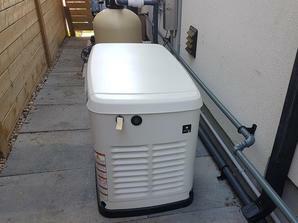 The homeowner is finally relieved and they got what they wanted. 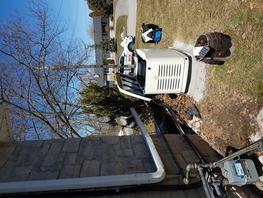 First Power was called in to fix this wind storm damage (tree fall) and natural gas pressure problem. 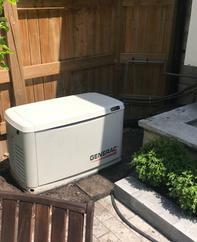 The electrician got the wrong generator gas pressure and this generator would work go 15 minutes and then shut down unexpectedly. The customer spent thousands trying to fix it and it was a gassing problem and not an engine problem. 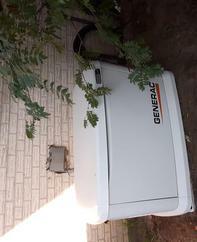 Only generator experts understand the ENTIRE picture - Gas, Electrical and Engines. Not just one of them. 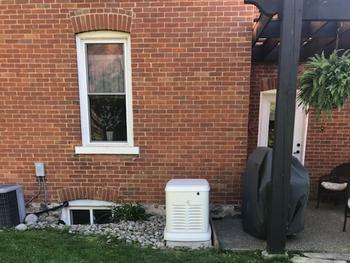 Very difficult cable run at this Toronto house. 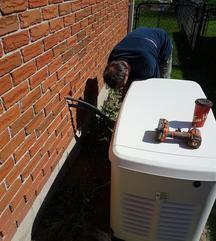 Hydro meter on the right and gas meter on the left side of the house. We hid the cable very well. The lights and heat will be on this winter at this Toronto house on The Bridle Path. Another very tough cable run but we got it done in this 100+ year old house. Only generator experts understand the ENTIRE picture - Gas, Electrical and Engines. Not just one of them. We got the job done at this King City house. 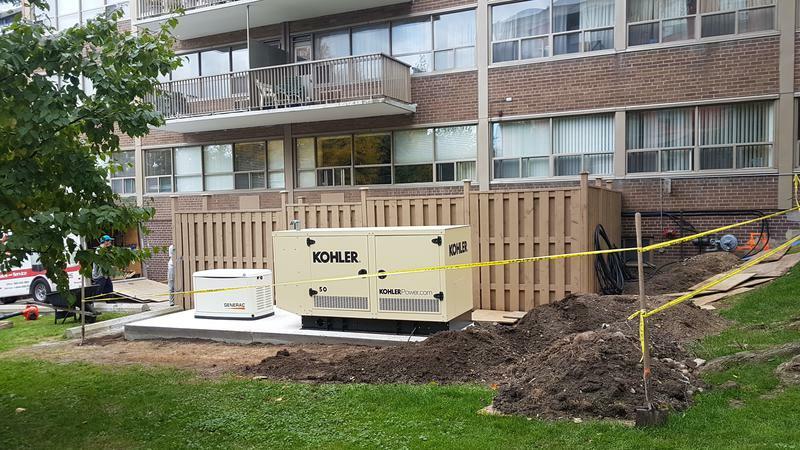 Toronto Condo project to keep the elevator and heating systems (600 volt Kohler) going and the Generac will power the hallway lighting, security system and cameras going during an power outage. Country living is now fun during a power outage. No more totally in the dark feeling. As always, we were the last trades in with the most codes to follow BUT we made it work to code. Country living is now fun during an power outage. No more totally in the dark feeling. 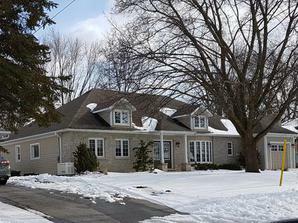 Lights and Heat will be on at this Gormley house during the next power outage. This 92 year old lady will be safe and sound when the power goes out next time. She wished she did it 10 years ago. 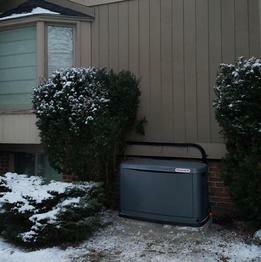 This retired couple is so glad they are protected against power outages now. 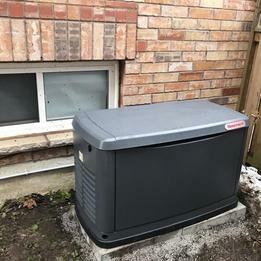 They live in an area of Richmond Hill which has very bad power. 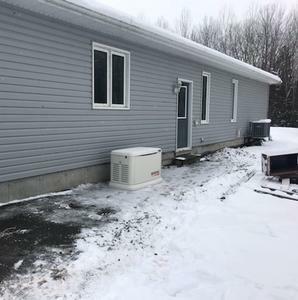 No more emergency procedures for this Adult Group Home in rural Queensville. No Lights or Heat is a big problem in this rural setting. 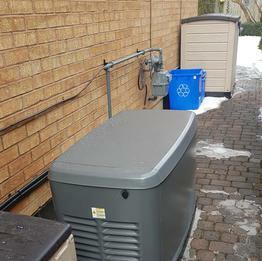 Another gas meter on the right side of house and hydro meter on the left side with drywall ceilings in the basement. This was a hard job but we got it done. 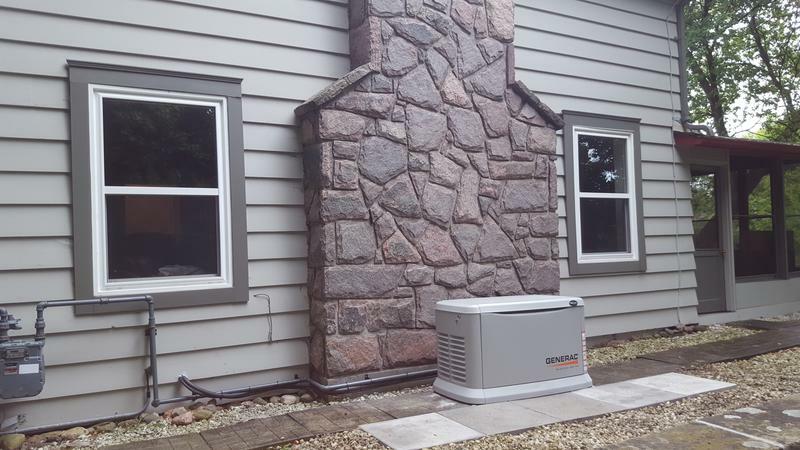 Homeowner is thrilled to have the generator installed now. 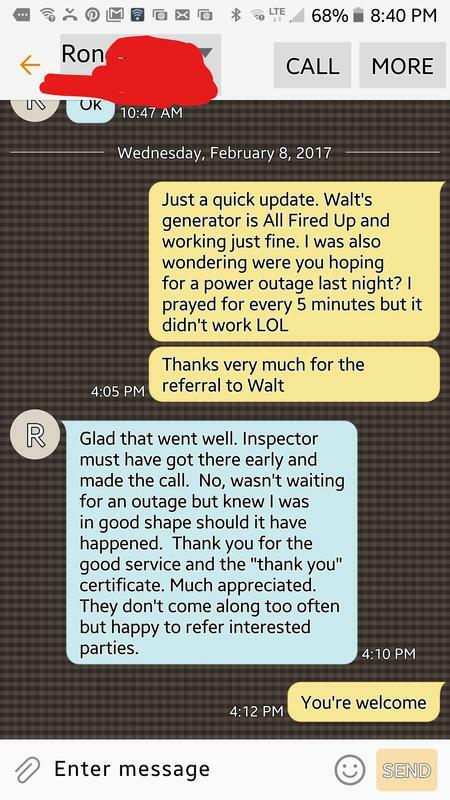 This customer used an Electrician that only does 2-3 generators each year. The Electrician did it all WRONG and it was very unsafe for this homeowner. 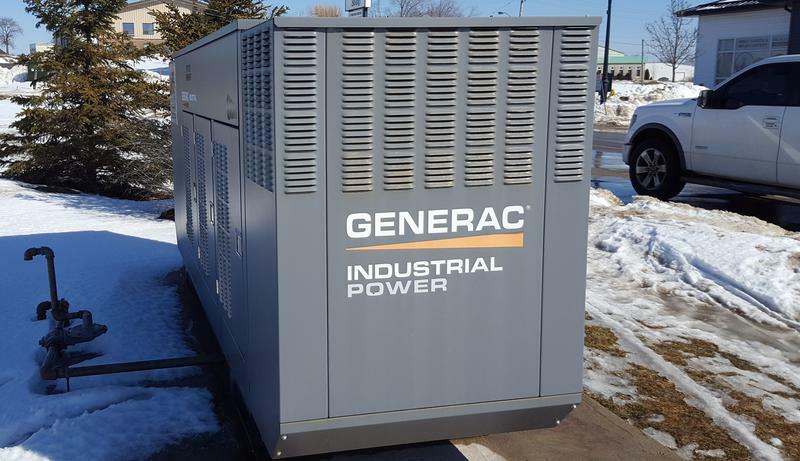 He regrets not using First Power Generators for the first installation. It was very expensive since he had to pay for two installations. 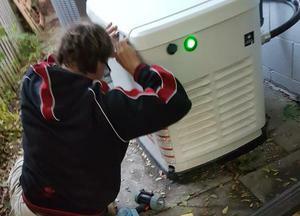 First Power was called in to make it safe for his family. 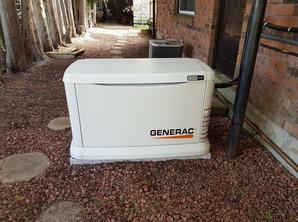 Please only use an Authorized Generac Dealer for your generator installation. We do it right the first time and you won't have to pay twice.